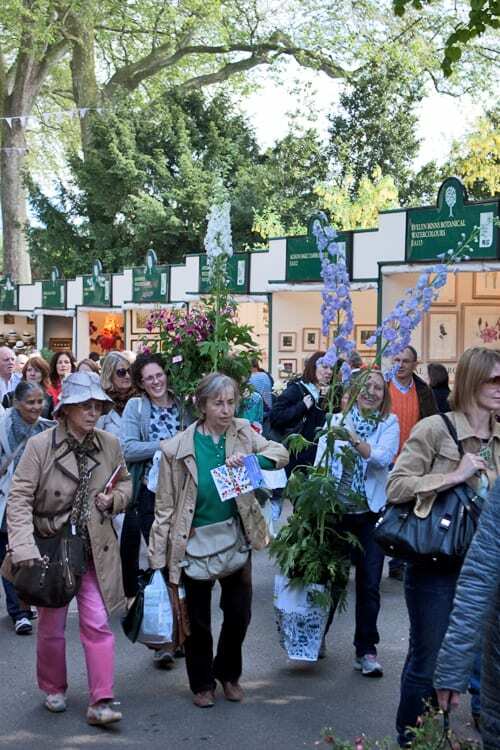 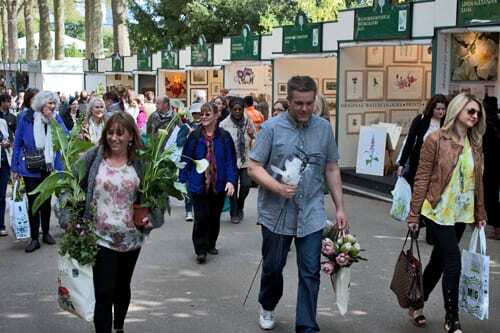 My final RHS Chelsea Flower Show blog post this year features images of the Sell-Off, which took place yesterday afternoon from 4.00pm. 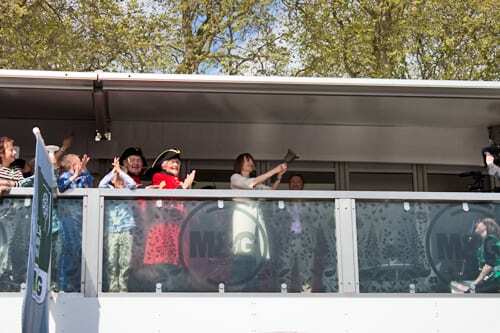 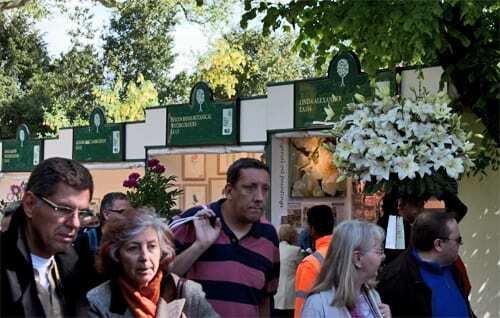 Alan Titchmarsh and the BBC TV cameras were there filming. 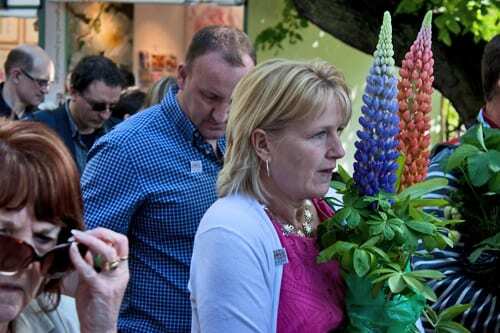 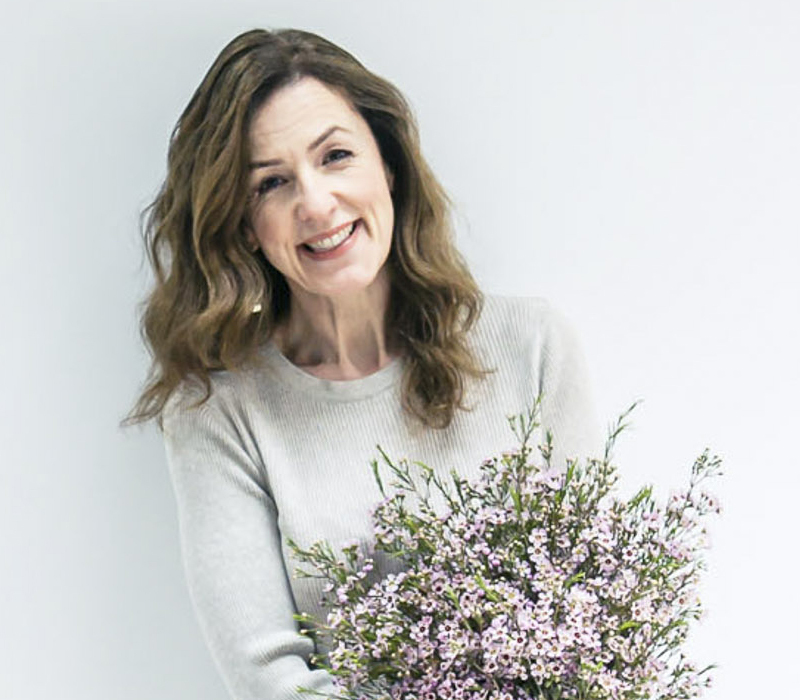 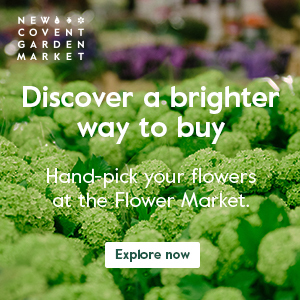 And lots of us watched as the bell was rung to announce that exhibitors could start to sell off their flowers and plants. 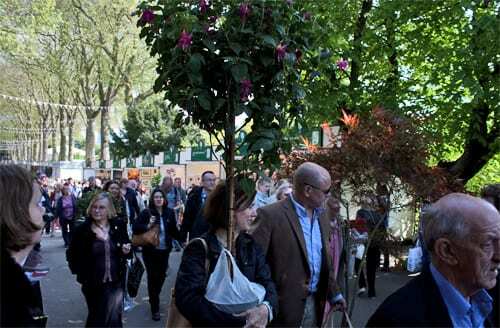 Not long afterwards, I captured these photos in Eastern Avenue as people left the show laden with blooms. 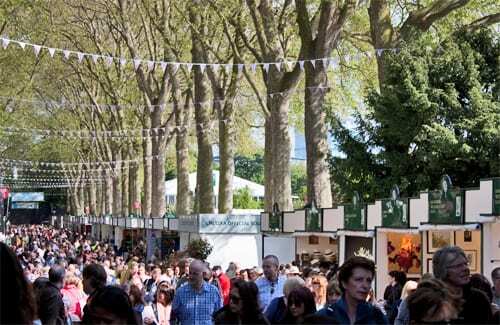 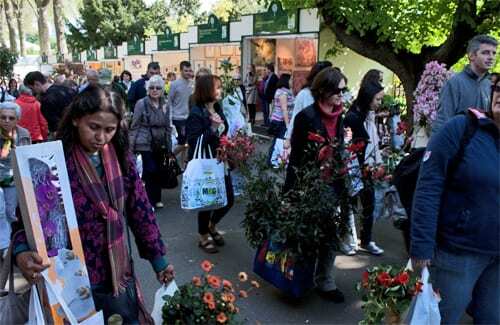 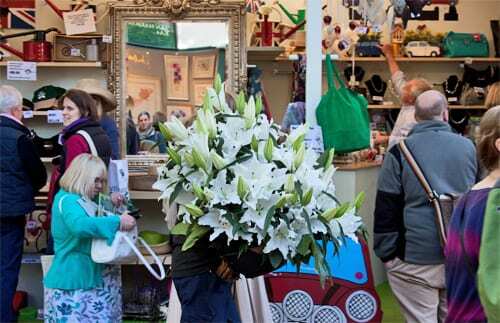 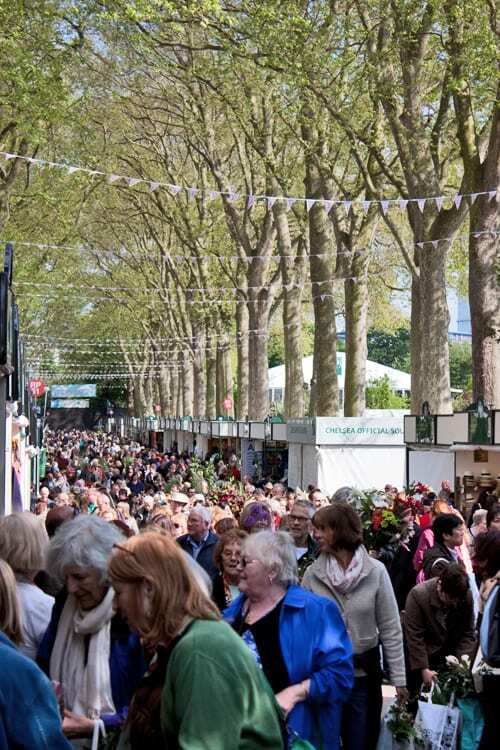 By 5.30pm, it was all over and the RHS Chelsea Flower Show closed for another year. 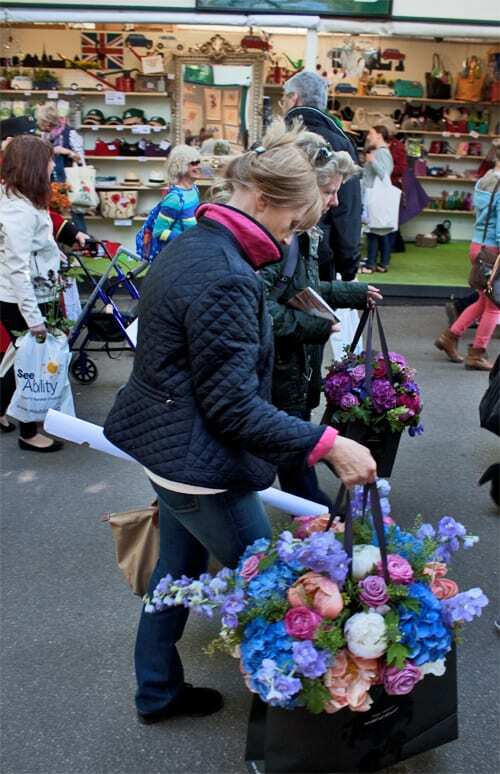 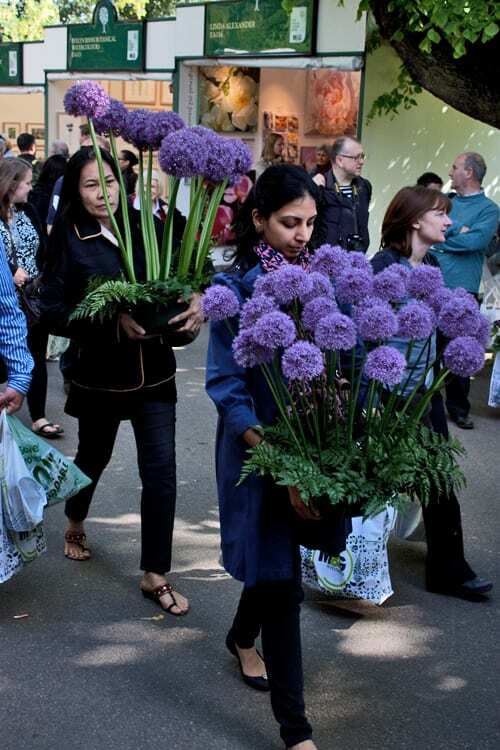 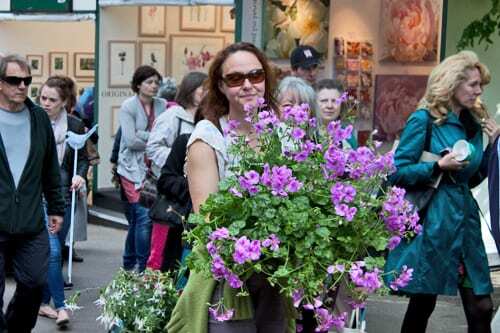 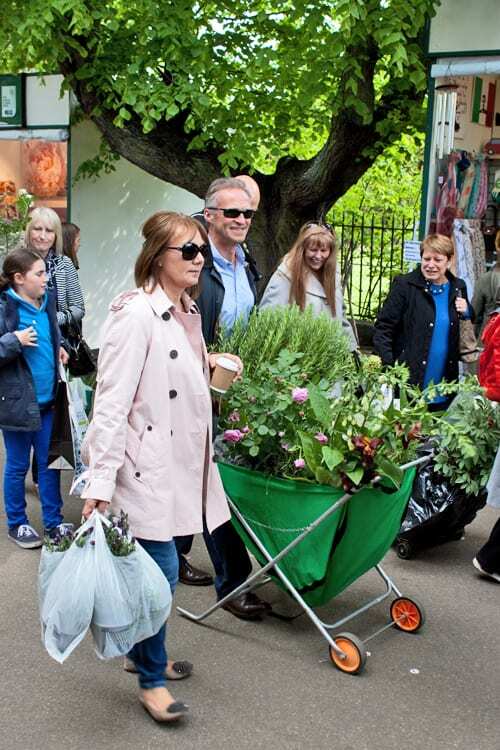 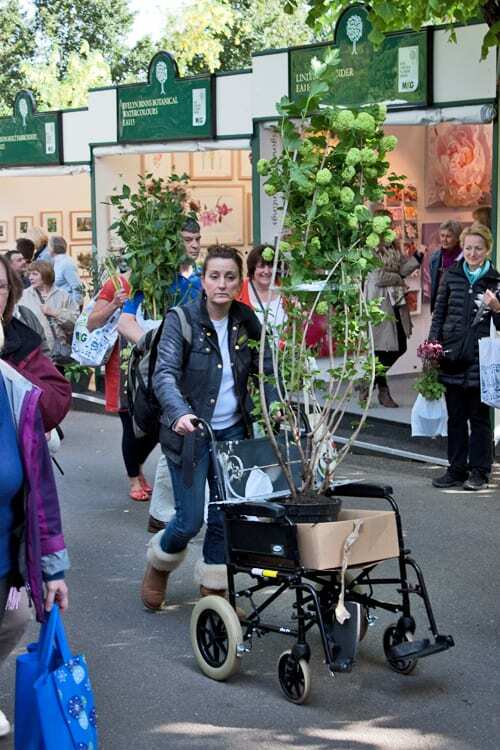 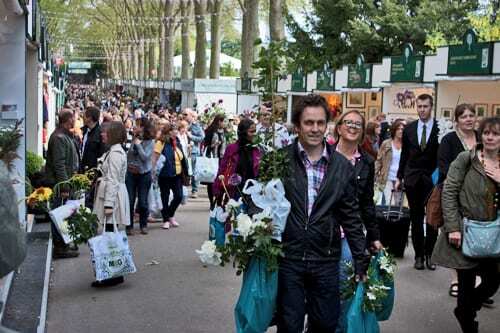 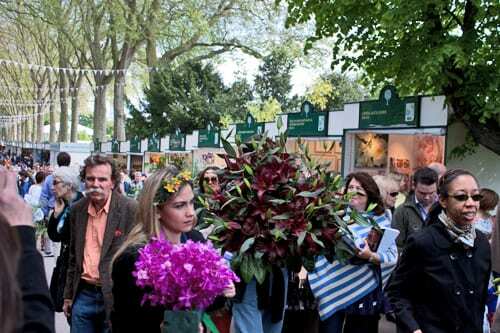 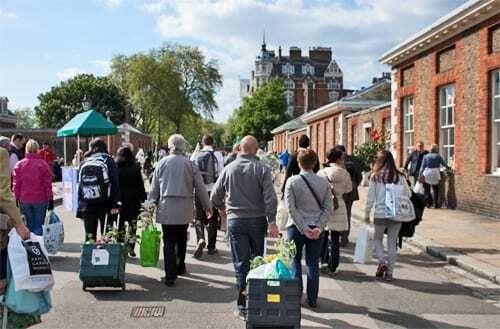 But some people were able to take a little bit of Chelsea home for their own gardens…by foot, tube, taxi and train. 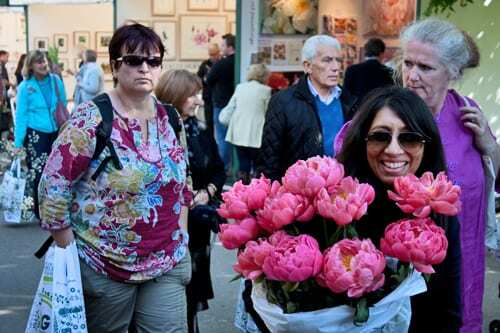 I’ll be back later with Flowerona Reflects, looking back on this incredible week.